The beauty and allure of your landscaping can transform the beauty of your entire home. Guests and loved ones alike can benefit from the calm, cool serenity offered by a quality home garden. While landscaping is often neglected in favor of interior renovation projects, the truth is that investing in the beauty of your outdoor elements can provide a wide range of benefits for your property. 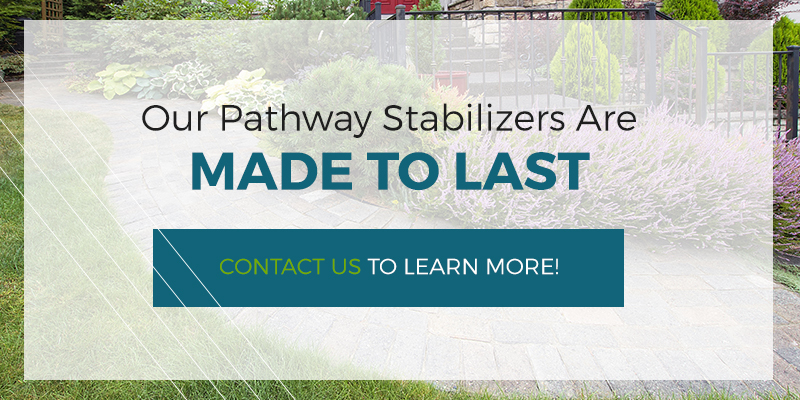 As your provider of Top Rated Local® pathway stabilizers in Texas, California, and across the United States, Howell Pathways is here to protect your garden walkways and landscaping materials to help you get the most out of your investment. We have partnered with Klingstone Paths to provide a polyurethane sealer that binds your loose aggregates, creating a durable surface that is both permeable and ADA-approved for wheelchair traffic. We understand the value and enjoyment that can come from a beautiful landscape design. Business owners can also find better success when investing time and energy into the exterior elements. Today, we’ll continue to discuss landscaping tips to create the most value for your home or business. If you’re ready to learn more about the comprehensive value afforded by our gravel stabilizer, be sure to call us today! Properly grouping and placing your flowers will do wonders when it comes to the overall beauty of your landscaping. Different plants flower differently, making it beneficial to consider the amount of space needed for each species and how much space should be placed between each plant. The blooming seasons are also important for homeowners looking for better coverage year-round. Planting flowers that all bloom at the same time may look great come springtime, but the other seasons may exhibit a yard that is dull and dreary. Introducing different colors into your garden can enhance the overall aesthetics. When planned properly, this task will yield stunning combinations and vibrant patterns that are sure to amaze. Moisture will be a vital part of your landscape design, but keep in mind that too much water can be very destructive. Many homeowners complain that their gardens are not flourishing enough, and in many cases, a lack of H2O can be to blame. Be sure to take the time to install an irrigation system that will provide the right amount of water for your plants. Proper drainage helps to mitigate pooling, flooding, and the consequences of problems such as erosion. Low areas in the soil can easily pool, resulting in bodies of water that can saturate your soil and seep down to the foundations of your building. Proper water mitigation can alleviate a range of concerns, and combining the benefits of this task with a polyurethane sealant can take the beauty of your yard to the next level! Once you have finished completing your dynamic landscape, keep in mind that now the task falls on you to maintain your hard work for long-term beauty. Many homeowners love putting in the effort up front to create a stunning space, but months later, that same area is left in disrepair and ruin. We understand that landscape maintenance is hard work, which is why our soil stabilizing experts recommend considering the totality of your upkeep before breaking ground. Doing the research on different landscaping design schemes may help you minimize the effort needed to keep your property clean and green. Our pathway stabilizers are ideal for garden pathways, mulch beds, and more! The surfaces of your yard will look wonderful today, but time, foot traffic, and weather will all work to wear down the beauty and erode the stability of your landscape materials. Water runoff can also cause a serious problem, pooling up near footings and foundations to affect the concrete that keeps your home safe and secure. Howell Pathways and Klingstone Paths have partnered to deliver a polyurethane stabilizer that coats the surfaces of your materials, creating cohesion for optimal protection from path degradation and water. This cost-effective service can help to preserve the beauty and integrity of your surfaces, resulting in long-term beauty that requires less maintenance. If you’re hoping to make your home garden as beautiful as possible this summer, be sure to take the time to create the most effective and convenient system to match your needs and preferences. 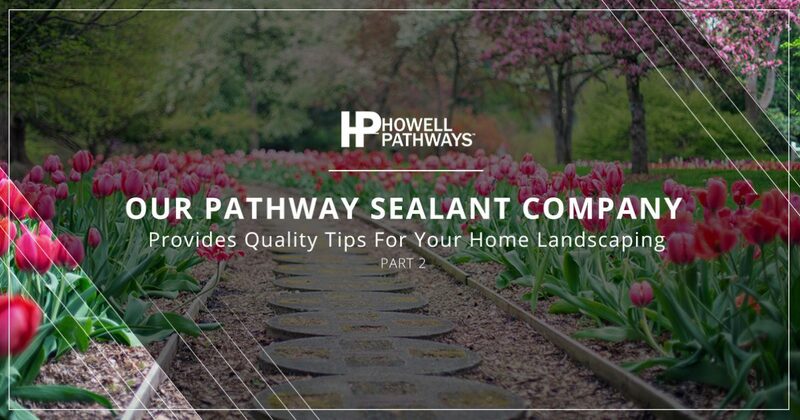 Investing in products such as polyurethane sealants can help to protect the fruits of your labor with eco-friendly, cost-effective results that resist erosion and material instability. Howell Pathways is proud to provide Top Rated Local® pathway stabilizers to Texas and beyond. Contact us today to receive a quote for your property’s needs!